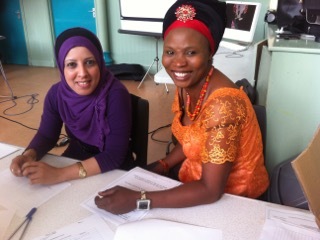 The Angelou Centre offers a range of Volunteering Opportunities for enthusiastic women. We especially encourage multi lingual volunteers to join our team. You do not need to have any qualifications nor speak fluent English to get involved in volunteering at the Angelou Centre, just a commitment to our ethos and values and a want to learn new skills! For some of our volunteering opportunities you may also receive accredited training. Please note that for many of our volunteering opportunities a DBS will need to be in place. We offer a limited number of University or Post Grad student placement opportunities in partnership with regional universities. We are particularly interested in BME students who are multi-lingual and are studying law, social work or other subjects relevant to community development work. The Angelou Centre does not fund any student placements and this would have to be agreed with your place of learning. Black and Minority Ethnic women and children in the North East are fully integrated in society and achieve their full potential free from violence and abuse. The Angelou Centre exists to advance social inclusion and economic independence for black and minority ethnic women, children and young people through: services and activities that enable them to overcome barriers (including abuse and violence) and achieve their full potential as well as ensuring that their voices are heard and inform policy and practice at all levels. The Angelou Centre is a black-led women’s centre based in the Newcastle upon Tyne. Please help the Angleou Centre, your donations help us to continued our work supporting Black and Ethnic Minority women in the North East of England. Click the Donate button below to donate to the Angelou Centre.